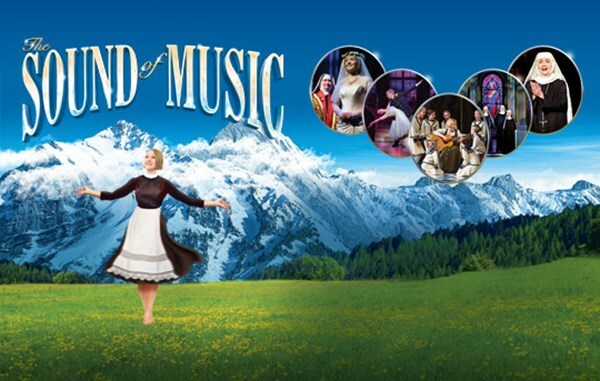 The Sound of Music is a musical masterpiece from the talented duo Rodgers and Hammerstein. Based loosely on the life of Maria Augusta Trapp and her journey from novice Nun to devoted mother. 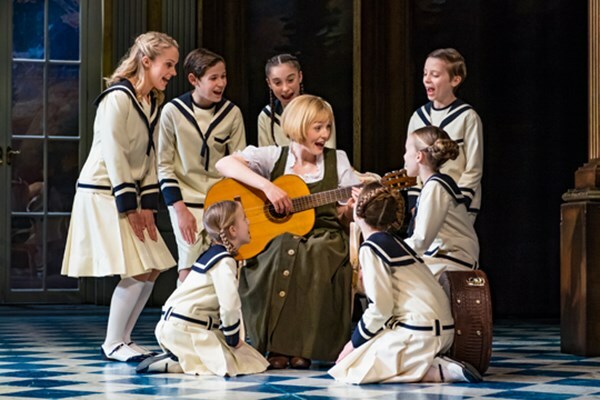 The Sound of Music has taken the drama which hangs on the story ‘The Trapp Family Singers’ (written by Maria) and has condensed it into a stage musical with a romantic rosy glow. 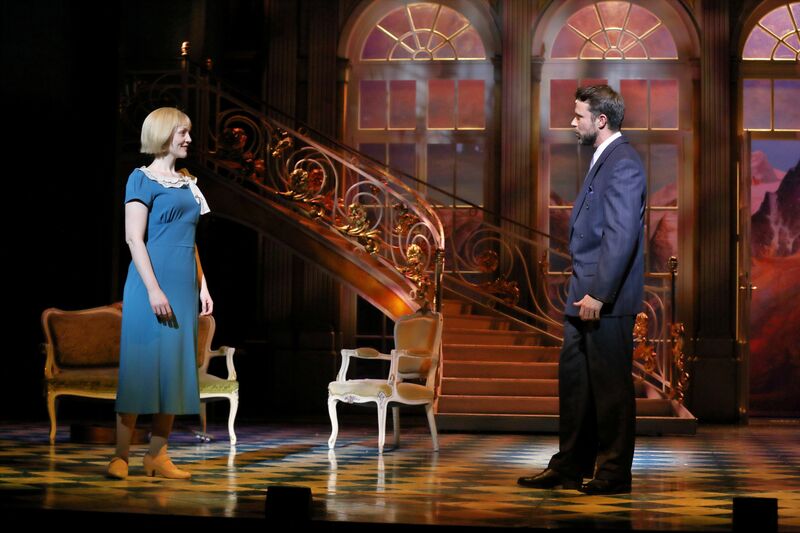 Oscar Hammerstein’s lyrics are set to music by Richard Rodgers and between them they produced wonderfully descriptive songs that take us from an abbey, to the top of a mountain and capture family life in its simplicity. These songs have been sung by enthralled cinema and theatre goers worldwide for the last five decades. Indeed, I found myself singing whilst working the following morning, tending sheep in a windswept field in South Wales. Perhaps not such a dramatic landscape as mountains of Austria in the summer, but uplifting all the same. The story of the family is set in Austria in 1938 with WWII on the horizon. Maria is a young novice Nun who is sent by the Mother Abbess to the home of Captain von Trapp to act as governess and care for his seven children. Without a mother the children crave the attentions of their father who in his grief has distanced himself from the children, their family home and the memories it holds. The welfare of the children is Maria’s primary concern and she can see how much they need to regain the love of their father. All she wants is to see the children happy again. She teaches them how to sing and bring music back into their lives. 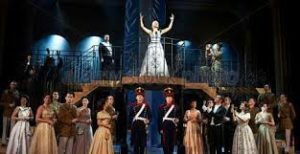 Little does she know that the Captain is himself an accomplished musician and singer and when eventually he hears the children singing it breaks the spell of his unhappiness and allows him to rebuild his relationship with his children whilst unwittingly falling in love with their governess. Lucy O’Byrne gives an outstanding performance as Maria as does Neil McDermott as Captain von Trapp and for me, much more believable that Christopher Plummer ever was, maybe it was the beard. 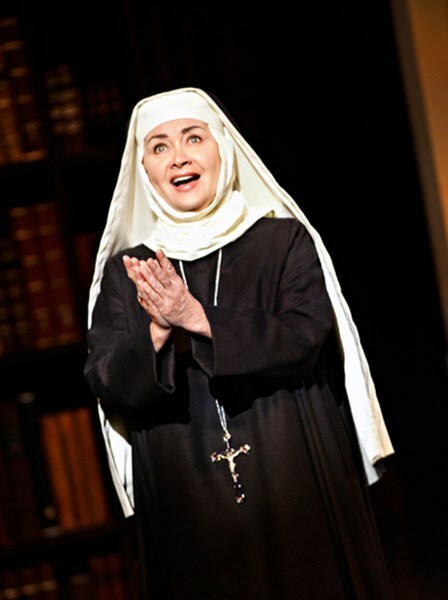 Megan Llewellyn was a truly realistic Mother Abbess, kind, compassionate, and wow, what a voice! The nuns were outstanding, their voices breathtaking and the children adorable in every scene. It was easy to imagine their lives being improved by the arrival of a much needed mother figure who would love them and bring their family back to life. The set design was a triumph. The audience was transported from the Abbey to the Von Trapp residence effortlessly. The sets were vast and visually beautiful providing an atmosphere that extended well beyond the boundary of the stage. The vastness of the scenery and the skillful way in which it was brought to the stage added to the audience being effortlessly transported from place to place. Although the New Theatre is not the size of a West End stage, for the visual effect and the performances, it was for this production. It would be unjust to single performers out as this was a whole cast production of talented individuals who together made us believe that we were there. The audience were so engaged with story and the performances that I am certain that I head an audible ‘boo’ for the Nazi Officer! Although unseen the orchestra gave an awe inspiring performance of musical talent. The balance of instruments and voices were perfect and crated a world of musical pleasure that elevated the entire show to completely fill the auditorium. It was no surprise at the end of the performance when the audience rose to their feet before the curtain call and gave the entire cast the standing ovation that they so clearly deserved. 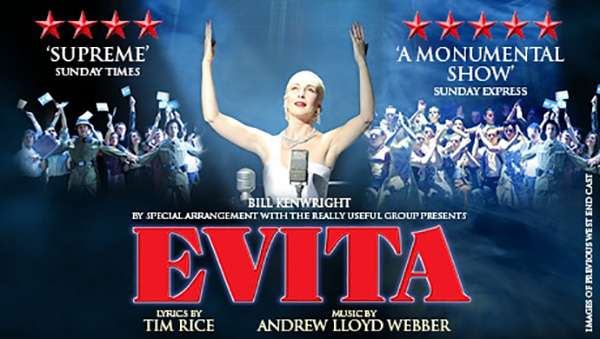 This really is a ‘must see’ production. I was only disappointed that it was not like the film shown in the 1960’s when you could remain in your seat and see it all over again.